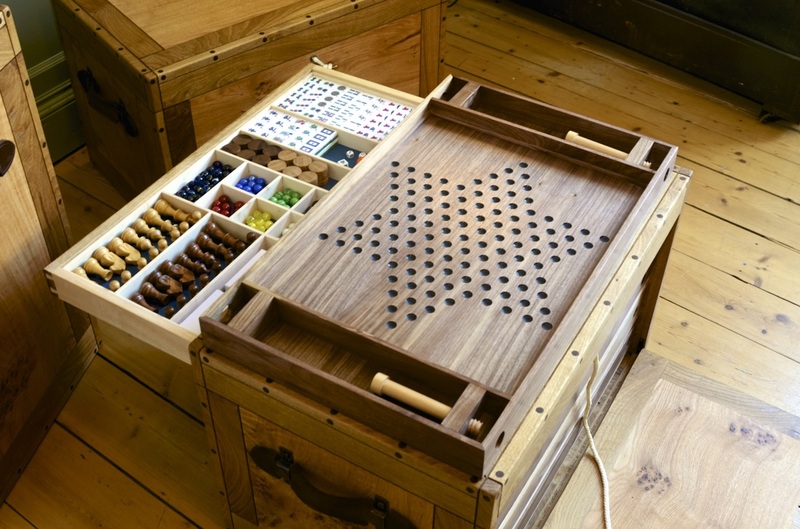 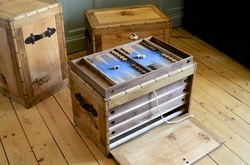 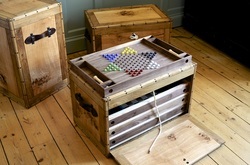 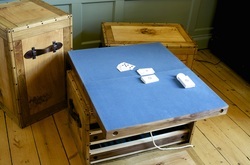 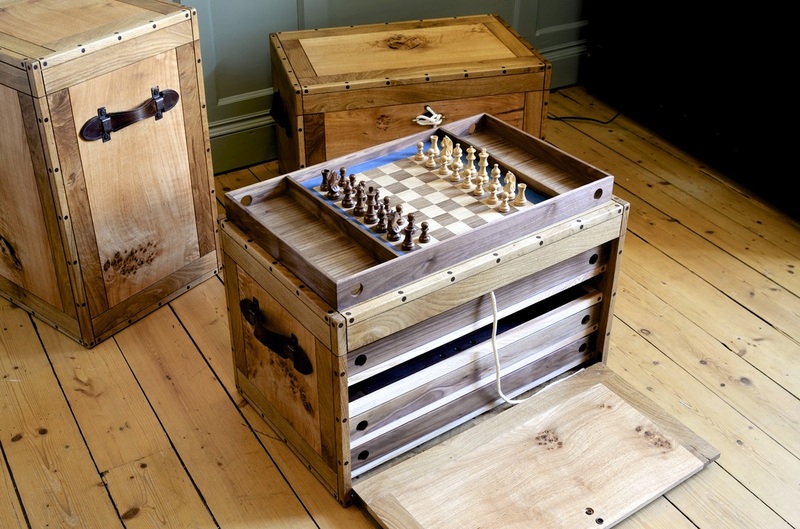 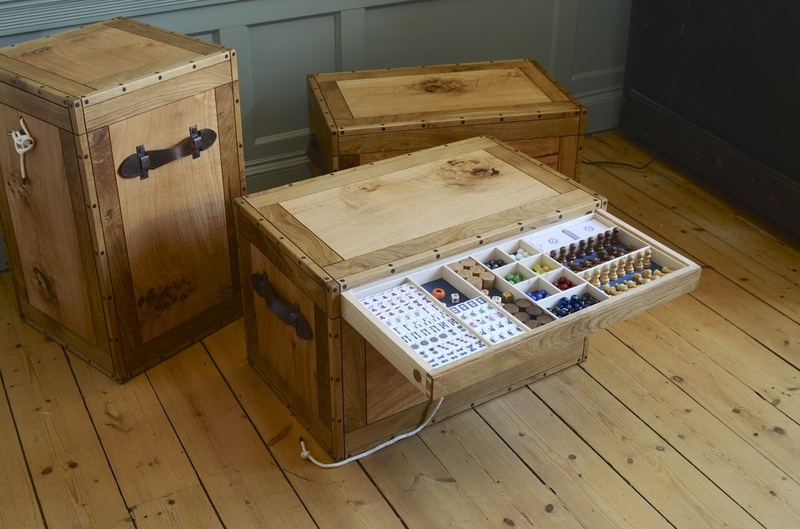 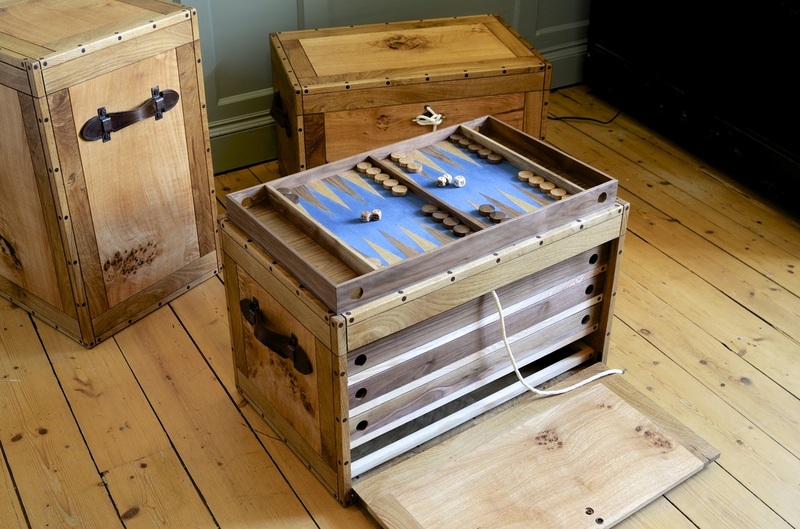 The second trunk in the series contains backgammon, chess, solitaire and chequers boards as well as an extending card and mah jong table. 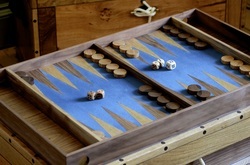 Each board was constructed from black walnut with games cloth provided in Ogilvies of Haddington colours. 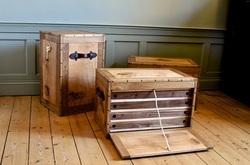 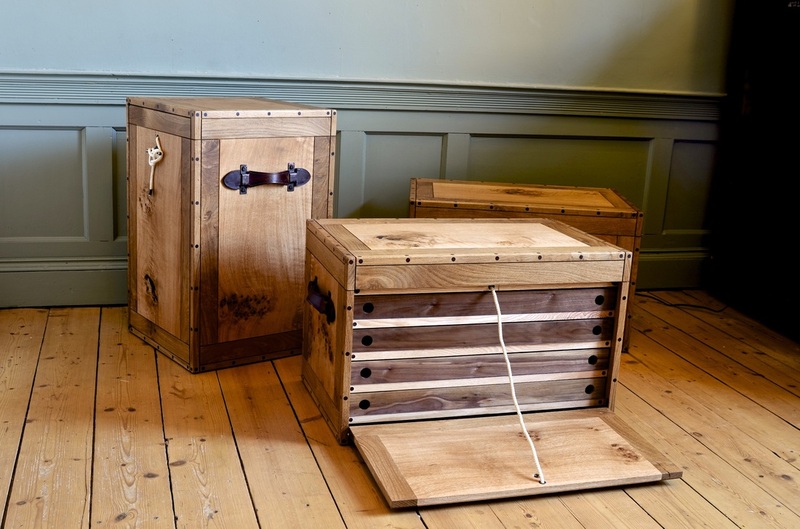 Continuing the theme, the trunk uses brass cleats and ropes to gain access and there is also a (very) secret compartment that I can say no more about.